Because NOW YOU CAN FINALLY DO SOMETHING ABOUT IT! New scientific evidence confirms an all-natural protocol can halt—and even reverse—diabetes. Beginning in as little as 2 months! One of my patients lost 90 pounds, is completely off all medication and is now diabetes-free. A 59-year-old man was able to reverse his diabetes in just 2 months’ time. Another one of my patients was able to achieve healthy insulin levels, and even lost 30 lbs. in just 4 weeks! Completely free of the disease— by any doctor’s standards. Even more exciting? They did it without drugs! Let’s face it, making changes to mainstream dogma is like trying to move the Titanic. Mainstream medicine seems content to think of diabetes as a life-long diagnosis and to develop and prescribe profitable drugs to “support” it. Not to mention cashing in on all its complications. But I have been proving complete reversal is possible. I’ve been doing it with my own patients for years. Type 2 diabetes and all its impending complications CAN be reversed. And it can be done easily without drugs. Smiling with sheer joy as you step off the scale and think—I’m finally making progress! Changing everything you thought you knew about the permanence of diabetes in your life and the impending death sentence that comes with it. My very specific plan of action you can start using today to help you conquer your diabetes for good. This Sunday, May 6th at 3pm Eastern time, I intend to take you through all of the details…along with my 30 years’ worth of clinical research (previously unreported by the mainstream media). There are dozens of simple, natural solutions that can help halt–and even reverse–ALL stages of diabetes. So make sure you tune in to my Diabetes Reversal Summit this Sunday, May 6th at 3pm Eastern time. YOUR VOICE: What would reversing yours or a loved one’s Diabetes mean to you? I'm hoping that reversing my insulin resistance would help me lose weight and be more physically active. I would love to get out of the house more. Just having the knowledge to control the sugar and metabolism would bring great mental relief. I am 72 years old with metabolic syndrome and would like to live longer and be healthier. I would be thrilled if my husband no longer had to do the finger stick or take a pill with his meal. I would like to be able to pass helpful information about diabetes on to family members and friends who are fighting that battle. 1, 2, or 3? Diabetes Summit SHOCKING answer! Which one of these three mainstream methods is critical to reversing diabetes? Posted in Uncategorized	| Comments Off on 1, 2, or 3? Diabetes Summit SHOCKING answer! The mainstream methods for preventing, diagnosing, and reversing diabetes are FULL of misinformation right now. I wanted to take a moment to thank you for registering for my first ever Diabetes Reversal Summit. 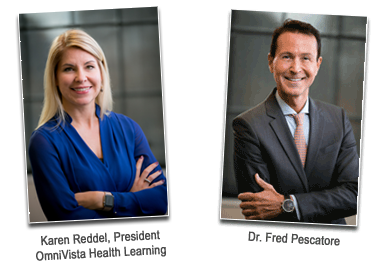 You may have already met Dr. Pescatore on Good Morning America, The O’Reilly Factor, Rachael Ray, The Today Show, Extra, The View, and many more – sharing the latest breakthroughs in integrative and nutritional medicine.